I watched them bundled up against the cold winter air on Saturday, November 17, 2007, with their children and the letter from the State of Maryland threatening them with imprisonment or fines of $50 a day for failing to show proof their children had gotten a chickenpox or hepatitis B shot. Confused, angry or scared but mostly resigned, they were working mothers and fathers trudging toward the courthouse to face the Judge ordering them to get vaccinated or go to jail. Patrolling the scene was a SWAT team of policemen with dogs. There were a few vaccine safety and informed consent advocates who showed up to witness what happened at the Prince George's County Courthouse, among them Washington D.C. Attorney Jim Moody and autism activist Kelli Ann Davis, of SAFEMINDS and Charles Frohman, representing the American Association of Physicians and Surgeons (AAPS) http://www.aapsonline.org/press/nr-11-16-07.php as well as several Moms with children who developed autism after vaccination. The U.S. media turned out but they were kept behind barricades and denied access into the building, as were the advocates and other members of the general public. There was no public oversight on what was happening to the parents and children inside. Apparently, the children were being re-vaccinated with not just hepatitis B and chicken pox vaccines, the two new vaccines added to the Maryland school requirement list, but also with other required vaccines for which the public school system could find no record. One mother told me her children were up-to-date on their shots but the school system lost the records and she had to give her children all the required vaccines on the spot or face jail or fines. My son, Chris, who became learning disabled after suffering a serious reaction to a fourth DPT shot in 1980, traveled with me to Maryland carrying a camera. After growing up watching his Mom work to change one-size-fits-all vaccine policies that were responsible for his vaccine reaction, Chris recently decided he wants to help NVIC put a face on what it means to be vaccine injured in America and what it means when Americans do not have the right to freely exercise informed consent to vaccination. Chris set up his camera as I talked with a mother hundreds of yards from the front of the Courthouse door. I was about 12 inches inside a row of large cement balls that apparently were erected as a barrier to prevent terrorist attacks. I did not know I wasn’t supposed to be talking with this Mom inside the barrier. She was telling me about how she wasn’t given any information about vaccines before her children were injected with three vaccines. All of a sudden, out of the corner of my eye I saw an armed guard with a dog emerge from the Courthouse and walk toward us. I got a sick feeling in the pit of my stomach. It was the dread that any citizen of any country in any century has ever felt when an armed guard with a dog starts advancing. As if we were common criminals or terrorists, he yelled and gestured to us to move behind the stones. We moved without a word. And the sick feeling in the pit of my stomach told me we were being shown the power of the State wielded by that armed guard with the dog, just as parents inside the Courthouse were being shown the power of the State wielded by doctors with syringes. The method of punishment for not obeying U.S. state vaccine laws is up to the state legislatures which make the laws. Today, many state legislatures have turned over vaccine law-making to unelected government health and education officials, who may enlist state attorneys and judges in the court system to enforce punishments. One of the punishments which many states have chosen when children have not received all state mandated vaccines is to bar children from attending school unless they file and the State approves exemptions to vaccination outlined by the State. Those parents, who do not vaccinate their children and do not either make arrangements with the State to homeschool them or successfully file a state-approved exemption, are in violation of another state law: truancy laws. Failure to send your child to school in Maryland between the ages of 5 and 16 is a misdemeanor punishable by fines and jail time or both. This is the law which the Maryland government officials moved to enforce when they enlisted the help of State’s Attorney Glenn Ivey (D) and Judge C. Philip Nichols to turn parents of unvaccinated children into criminals. The big difference between being dragged into a Courthouse to get vaccinated and being dragged to church is that an hour of prayer rarely results in catastrophic brain injury or death. I still wonder how many of those children, who were injected with multiple vaccines in the Courthouse, are having vaccine reactions today. Their parents, many of whom are uninformed about how to recognize vaccine reactions, will never know what happened to their children if they regress into chronic poor health after the shots they were forced to get on Saturday. We know that attacks on the religious and philosophical exemptions to vaccination in America are on the increase and are being led by vaccine patent holders like Paul Offit, M.D. and others who want to force vaccination. http://vaccineawakening.blogspot.com/search?q=attacks+on+vaccine+exemptions. What happened in Maryland this weekend is a final wake-up call for America. Dozens of new vaccines are being rushed to market in the next decade and most will target children and adults for mandated use. Limiting the power of the State to force vaccination is all that stands between the people and tyranny. There is only one way we will be free in the future: the laws must be changed so that every state allows a conscientious belief exemption to vaccination. Parents in Texas, after working with Parents Requesting Open Vaccine Education (PROVE) to educate the Texas legislature about the need for a conscientious belief exemption, got that exemption added in 2004 (http://www.vaccineinfo.net/). NVIC provided information and strategic support for PROVE's seven year effort to secure strong informed consent and privacy protections in Texas vaccine laws but it was Dawn Richardson, Rebecca Rex and the people of Texas who got the job done. If you want to work to educate your community and elected officials about vaccination and informed consent rights, contact the National Vaccine Information Center at NVICinfo@gmail.com. For more information about NVIC's 25 years of advocacy work and to learn more about preventing vaccine reactions go to www.nvic.org. 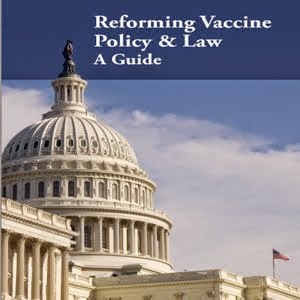 Please donate generously to this non-profit educational public service organization working to protect your freedom to choose the kind of health care you want for yourself and your family, including the freedom to choose which vaccines to use. Jail Time for Not Vaccinating in Maryland? Tomorrow, Nov. 17, Prince George, Maryland State's Attorney Glenn F. Ivy (D) and the county's public health and education officials are bringing the power of the State down on parents who have not gotten their children injected with vaccines for chickenpox and hepatitis B. In a Nov. 13 press release issued by the Prince George's County Public Schools (http://www1.pgcps.org/interior.aspx?id=30956 ) and at a press conference that day, state officials made it clear they were going to use whatever means they had to use to force the children to get vaccinated. Ivy said he was prepared to throw the parents whose children had not gotten their shots in jail: "We can do this the easy way or the hard way, but it's got to be done. I'm willing to move forward with legal action." The parents of children, who have been kicked out of school for failing to get their shots and are subject to state truancy laws, are being summoned to the Prince George's County Courthouse in Upper Marlboro on Saturday with their children to get them vaccinated on-site or face fines and jail time. 10) The ethical principle of informed consent that applies to every other medical procedure that carries risks should also be applied to vaccination. Everyone should have the right to make an informed, voluntary vaccination choice. There are many reasons why children do not receive vaccines. Some parents want to vaccinate their children but do not have access to public health clinics that are open during times that are convenient for parents. There may be cost and affordability issues. Others want to exempt their children from certain vaccines for reasons of religious belief or conscience but, as is the case in Maryland, cannot file a religious exemption unless they refuse all vaccines. Some may have children who have regressed into poor health after previous vaccinations and believe their children are genetically or otherwise at high risk for suffering vaccine reactions but can't find a doctor to write a medical exemption and do not have religious beliefs that qualify them for a religious exemption. Others are opposed to all vaccine use because they have determined that vaccines are not necessary, safe or effective. Whatever the reasons for parents not vaccinating their children with all state mandated vaccines, it is inappropriate for state officials to threaten parents with jail time. Reportedly, there are about 6,000 truant students in the state of Maryland. Are the parents of the other 4,000 students who are missing from school also being given deadlines and facing jail time their truant children? Or could this military action by what some parents are referring to as "The Vaccine Police" be simply a case of an eager State's Attorney looking for a political platform teaming up with over-zealous health and education officials to achieve a 100 percent vaccination rate with all state-mandated vaccines in Maryland? Whatever the case, hopefully the several thousand children showing up with their parents at the courthouse tomorrow to get vaccinated will be carefully screened for pre-existing health conditions that could put them at high risk for suffering severe reactions and their parents will be fully informed about how to monitor their children for symptoms of vaccine reactions. In the zeal to implement public policy, what health and education officials often forget is that individual responses to pharmaceutical products vary. The one-size-fits-all approach increases the risk of side effects for those genetically and otherwise biologically at higher risk and that is just one of many good reasons why the right to informed consent to vaccination is a human right. Putting the educational and health needs of children first, Prince George's County Public Schools (PGCPS) and the County Health Department announced today that parents have been ordered to appear in court so their children can become compliant with State immunization requirements. "Children should not be deprived of an education when our County offers free immunizations. This is a public health and children's rights issue that we are determined to correct," said Board of Education Chair R. Owen Johnson, Jr., who made the announcement today outside the Circuit Court of Prince George's County. "Children need to be in school to learn. Every day they are not permitted to attend school because they have not received their vaccinations is a missed opportunity." On Saturday, November 17, 2007, the first of a series of hearings will be held in the Circuit Court of Prince George's County, 14735 Main Street, Upper Marlboro. Parents will appear with 1,671 children, who will receive needed vaccinations administered by the Prince George's County Health Department's licensed health care professionals. "One of the most important things parents can do to protect their children from vaccine-preventable diseases is to make sure their children receive all their immunizations," said Donald Shell, M.D, M.A, Health Officer "Working in partnership with our county's schools, our goal is to provide immunizations to all children in need. With immunization of children, parents must partner with Health Department to authorize the delivery of services to their child." 1. Letters were sent to the homes of students not in compliance stating the deadline to acquire immunizations. These letters first mentioned the possibility of being summoned to Court. 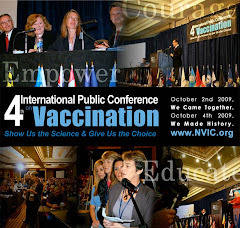 2. Letters were sent to Physicians on April 24, 2006 to inform them of the new state immunization requirements that went into effect on September 1, 2006. 3. Additional immunization clinics were scheduled on Saturdays, evenings, and at additional sites. 1. Their name will be forwarded to the Court Liaison for referral to Circuit Court. 2. Parents will receive a letter from the Circuit Court Judge commanding their appearance in Court. 3. When parents appear in Court, the Judge will issue a verbal reprimand and direct them to have their children immunized on site. 4. The Health Department will be on-site to immunize non-compliant students. 5. Students will return to school as soon as they receive their required immunizations. Confirming what many American mothers have instinctively known for a long time, a study published in the New England Journal of Medicine yesterday confirmed that Americans may be getting many more doses of vaccines than they need. http://content.nejm.org/cgi/content/short/357/19/1903 The researchers aren't pointing out the risks associated with over-vaccination, only suggesting that giving kids lots of booster doses of vaccines like tetanus really doesn't result in any longer lasting protection and is probably a waste of money. The study conducted by Oregon Health and Science University researchers urges CDC vaccine policymakers to re-evaluate and adjust timelines for vaccinating and re-vaccinating Americans against infectious diseases. Taking out their microscopes and analyzing 630 blood samples of 45 participants, some several decades old, they measured disease-induced and vaccine-induced antibody responses. They confirmed that recovery from childhood diseases like measles, mumps, rubella, and chicken pox, for example, produced long lasting protection, often lasting a lifetime. They also discovered that vaccine-induced antibody responses may last much longer than previously assumed by health officials. The results of this small study are important and should be replicated by larger studies so that federal health officials will begin to take seriously the mounting evidence that Americans are getting too many vaccines. The recent news that Merck has canceled clinical trials of an experimental HIV vaccine, which was announced after more people who got vaccinated in the trials became infected with HIV than those who remained unvaccinated, is the latest in a series of experimental HIV vaccine trial failures over the past decade. In 1997, then-President Clinton declared that America must make it a national mission to create an AIDS vaccine by 2007 just like America made it a national mission to send a man to the moon in the 1950's and 60's. A decade ago some scientists, like microbiologist Howard Urnovitz, Ph.D., were warning that it may be impossible to create a vaccine "against a human gene" referring to the fact that HIV appeared to be a simian/human genetic hybrid virus created when experimental polio vaccines derived from SIV contaminated monkey tissues were injected or swallowed by millions of unsuspecting Africans in the 1950's and 60's. Others warned that HIV mutates easily and takes a different form in every individual, making it unlikely any HIV vaccine will be effective. There was also the warning that those who get vaccinated will always test positive for HIV. But the AIDS vaccine crusade had officially begun and there was a rush to get funding for the testing of experimental HIV vaccines. Mandatory vaccination proponents and policymakers also began seriously thinking about testing HIV vaccines on children in preparation for the targeting of adolescents for vaccines to prevent sexually transmitted diseases. At the February 12, 1997 meeting of the CDC's Advisory Committee on Immunization Practices (ACIP), Neal Halsey, M.D., then-chairman of the AAP Committee on Infectious Diseases, reminded his colleagues in industry that "One of the things that's happened in the past with vaccines is that sometimes the manufacturers have developed them and tested them primarily in an age group or a population which may not be the final target population that this Committee has considered. Over the last few years we have developed a statement on adolescent immunization and it probably would be worth your reading that, and others, because we really see age 11 to 12 as the target age for introduction of vaccines for prevention of sexually transmitted diseases. And I know that, at this time, you are really studying adults and you're also some distance away from the actual - having a [HIV] vaccine in hand that might be licensed and approved - but at least it would be nice if there were studies that were planned in parallel when you move another step in the direction of actually having a candidate vaccine, realizing where WE think we would want to use universal application of such a vaccine." Last year at this time, Dr. Halsey's exhortation from a decade earlier was echoed by a press release from a hospital affiliated with Brown Medical School, which is a site for experimental HIV vaccine trials for adults in the HIV Vaccine Trials Network (HVTN). In the press release, the Boston Celtics Foundation announced the launching of a "Team Vaccinates Teens" program with a grant for the "first program in the country that will test and explore vaccine delivery strategies to adolescents." Adolescent girls were urged to get Merck's "highly safe and effective" HPV vaccine, GARDASIL. They said the goal was "for researchers to learn what structures are effective for engaging youth in an extended vaccination program, creating a model that will eventually allow for delivery of an HIV vaccine once one become available." They said "the adolescents targeted in Team Vaccinates Teens are also potential candidates for future HIV vaccine trials." There are about 30 experimental HIV vaccines in clinical trials in the U.S. and around the world and the development of an HIV vaccine will continue. However, hopefully this latest development in the crusade to bring an HIV to market will prompt even stronger informed consent protections in all clinical trials as well as a serious re-evaluation of other ways to address chronic illness associated with AIDS. Creation of an HIV vaccine is a dream for many suffering with or seeing a loved one suffer with HIV- related illness, but there are legitimate concerns about whether mass, mandatory use of an HIV vaccine could cause more harm than the elusive microorganism being targeted for elimination. At the very least, our children should not be pulled into this scientific chaos - either in experimental HIV vaccine clinical trials or in future government "adolescent vaccine platform" planning. Many parents have already decided that 56 doses of 16 vaccines by age 12 is quite enough, thank you. What is needed is a robust public debate about why our children are being automatically targeted for future use of every new vaccine scientists and drug companies create and market, especially a vaccine that could be as potentially risky and ineffective as one created for HIV. In the meantime, informed consent protections in the form of conscientious belief exemption to vaccination should be instituted in every state as soon as possible. Abraham Lincoln once said "You can fool some of the people all of the time, and all of the people some of the time, but you cannot fool all of the people all of the time." It is getting increasingly difficult for multi-national pharmaceutical corporations to hide the fact that they are engaging politicians from both sides of the aisle in the US, Canada and Europe to provide them with an assured, blockbuster market for new vaccines like Merck's GARDASIL. It doesn't seem to matter how poorly a new vaccine has been tested or how many people die or become seriously injured after it has hit the streets. Those deaths and injuries are conveniently written off by government officials as a " coincidence" and the exploitation of the people by drug companies for profit continues without a pause. Wall Street is doing a good job keeping us up-to- date with just how much money big pharmaceutical corporations are raking in now that Congress bowed to Big Pharma pressure and pretty much removed all liability from the business of making and selling vaccines in the 1980's and, again after September 11, 2001, in the name of "national security" and "the greater good" and the admonition that "disease is just a plane ride away." Mandating every new vaccine the drug industry produces and taking away all exemptions to vaccination is another money making guarantee. Revenue predictions for Merck are that GARDASIL profits will climb from $300 million to $4 billion over the next year. Sanofi Pasteur, another mega giant vaccine maker is growing its vaccine sector by 50 percent. "It's a great trend and I would buy Merck" advises one Wall Street guru. One day enough voters will figure out that vaccinating 300 million Americans and 33 million Canadians with multiple vaccines from cradle to the grave has more to do with keeping drug companies in the money than keeping people healthy. Then the politicians, who have committed hundreds of millions of taxpayer dollars to underwrite new product rollouts for pharmaceutical companies selling vaccines while shielding them from all liability for vaccine injuries and deaths, will be looking for another job. In 2006, Mayo Clinic's Greg Poland, M.D., who has been a CDC vaccine policymaker and promotes worldwide use of multiple vaccines throughout life, called for mandatory vaccination of all health care workers with flu vaccine. http://www.cidrap.umn.edu/cidrap/content/influenza/general/news/jul0207acip.html Dr. Poland has also been instrumental in defending the "safety" of the highly reactive anthrax vaccine the U.S. Department of Defense has required all soldiers to get. http://www.vaccines.mil/documents/library/MilitaryImztn2005fulc.pdf. Last week, he called for all 300 million Americans to get a flu shot every year. Dr. Poland, like so many doctors in public health and pediatrics today, considers himself a "warrior" in the crusade to kill all infectious microbes that cause human disease. He says, "Vaccines are the singularly most important medical technology ever devised. We administer a series of vaccines over a lifetime to every single human being on earth." When ideology blinds a doctor, scientific truth is often the first casualty. A report out of Canada last week reveals that two of the three strains (Soloman Islands A, Wisconsin A, Malaysia B) selected by doctors at the World Health Organization and the CDC for North America "appear to be drifting and mutating, raising questions about how much protection this year's flu vaccine will offer." So just how effective will the flu shot be at preventing death and illness from the flu this year, especially for children, the chronically ill and the elderly? Probably not any more effective than it has ever been, which is not very effective according to yet another study in the medical literature ( Lancet Infect Dis. 2007;7:658-666). The Lancet reported this month that the elderly over age 70, who have always been targeted for flu vaccination because they account for 90 percent of all flu related deaths, may not be protected at all from dying from complications of the flu. Flu vaccine use by the elderly and those with chronic diseases has increased from 15% to 65% in the US and other high-income countries since 1980 but there has been no decrease in influenza-related mortality among these groups. The few clinical trials that have included elderly people have indicated there is a decrease in antibody responses and clinical benefits of flu vaccination as people age beyond 70 years. The 2006 Cochrane Collaboration analysis found that the majority of published influenza vaccine studies were methodologically flawed with selection biases, cofounders and heavy reliance on non-randomized studies. Authors pointed out that potential confusion between respiratory infections caused by flu viruses and those caused by non-flu viruses can result in a misdiagnosis and gross overestimation of the true impact of influenza on death and illness in a given flu season (CDC officials have never produced documented evidence for the 36,000 deaths they attribute to the flu every year). The 2006 study concluded that too few clinical trials have been conducted to prove flu vaccine safety and current evidence indicates that use of inactivated influenza vaccine has only a modest or no effect on preventing flu in children or the elderly. Co-author Tom Jefferson, an Italian epidemiologist said "There is a big gap between policies promoting annual influenza vaccinations for most children and adults and supporting scientific evidence." NVIC has taken the position that the CDC should stop recommending annual influenza vaccination for all young children when there is insufficient scientific justification for it. Unfortunately, when the CDC makes a recommendation for universal use of vaccines, state mandates soon follow. Greg Poland's call for 300 million Americans to get an annual flu shot is a pretty good indicator the CDC will eventually follow suit and drug company lobbyists seeking higher profits will pressure state legislatures to institute flu vaccine mandates. Once every American has been softened up to accept an annual flu shot, more shots and mandates will follow. Only this time, the vaccine mandates will not just mean being barred from getting an education. Today, parental refusal to get a child vaccinated with all state mandated vaccines means the child can be barred from going to school or getting health insurance. Tomorrow vaccine mandates may mean being barred from getting a job or a driver's license unless you show proof you've saluted smartly and rolled up your sleeve for scores of new vaccines now being developed in more than 200 clinical trials worldwide. And that is a future that drug companies selling vaccines are convincing stockholders they can take all the way to the bank.